Hemas Pharmaceuticals, a leading pharmaceutical importer and distributor in Sri Lanka, has ventured out for the first time with its entry into Myanmar to commence distribution operations as Hemas Mandalar Pharmaceuticals Ltd. 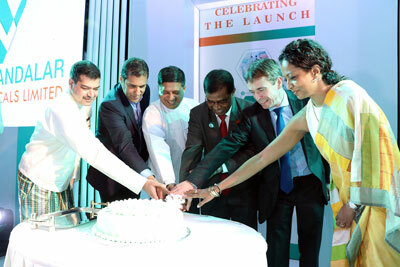 The official launch celebrations took place in the presence of K.W.N.D. Karunaratne, Ambassador of Sri Lanka for Myanmar, senior management members of Hemas, and other dignitaries from both Myanmar and Sri Lanka. A media release by the company said Hemas Mandalar Pharmaceuticals Ltd, in partnership with Family Mandalar Company, would serve as the main distribution point for multinational and other pharmaceutical manufacturers that would enable the supply of quality pharmaceutical products across Myanmar. Ashwani Bagga, a veteran in the pharmaceutical industry with over 25 years of cross cultural exposure, will be leading operations in the capacity of CEO for the organisation. Hemas Mandalar Pharmaceuticals Ltd will engage its core strengths of an extensive distribution network, well trained and highly experienced sales team, and the usage of real time sales data to ensure a smooth and efficient flow of operations in Myanmar. The process is further reinforced by its state-of-the-art warehouse facility that is temperature controlled around the clock and is in full compliance with regulatory standards. Ashwani Bagga, CEO of Hemas Mandalar Pharmaceuticals Ltd said, “Sri Lanka and Myanmar have always had a special connect with one another as a result of similar culture and value systems. As such, Myanmar was an immediate selection for the next phase of expansion for Hemas Pharmaceuticals. Through Hemas Mandalar Pharmaceuticals, we will focus on adding value to the nation’s healthcare industry by exploring means of introducing new healthcare solutions to the people of Myanmar”.